I’m finally back… where have I been you ask? Working a lot, writing final exams (3 in total! ), getting over a serious stomach bug and finally moving into a new house. It’s been a busy couple of weeks and we aren’t even settled in the new house yet. However, as you can imagine I wanted a quick recipe, that wasn’t involved. Time is still limited around here – dinners are quick, but we are trying to be healthy – even more so as usual, especially with all of the eating out we’ve been doing. So, when I received the blog Cheese Curd In Paradise for this round of the Recipe Swap, it was very hard to steer away from some of her very sinful looking recipes (go visit her blog and you will see exactly what I am talking about!). 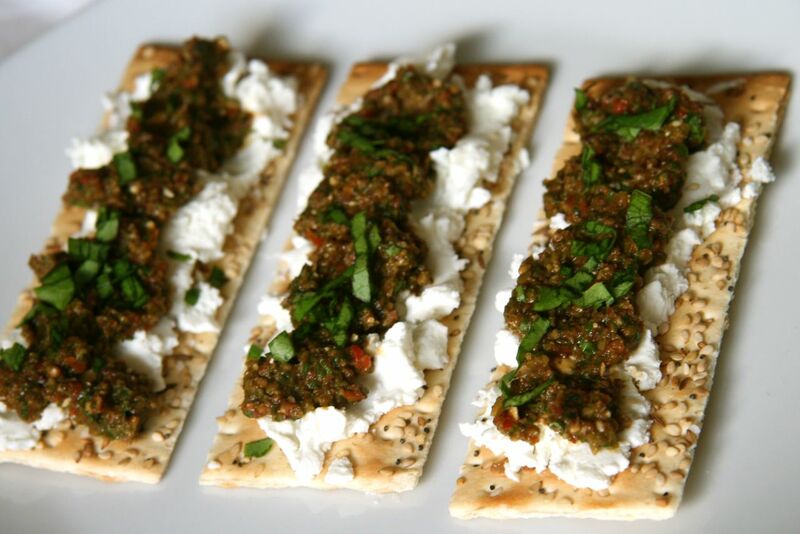 I browsed through almost everyone of her tabs, and came across a recipe for Olive Tapenade. I love olives and this recipe immediately reminded me two recipes that one of my BF’s made a while back for a few parties. 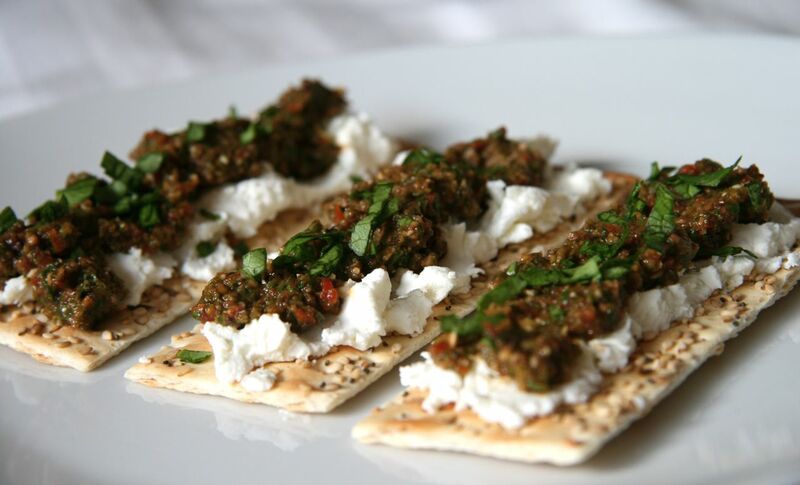 Having a container of tapenade in the fridge was a welcomed idea – perfect for a quick snack while unpacking. I also followed Cheese Curd’s recommendation to use a food processor to achieve the perfect consistency. This is a fresh, light and easy to prepare recipe that would be welcome on any party table, appetizer spread or just over the weekend for a quick snack. Serve with a fresh loaf of bread, or even over freshly grilled chicken breast. This recipe is so versatile, and also easy to adapt based on what you have on hand (just like I did!). Combine all ingredients in the bowl of your food processor. Pulse until well combined, minced well and consistent (you don’t want any big chunks of anything)! Taste for seasoning – add more lemon juice, salt, pepper etc. if needed.